Amint.io an international crypto assets exchange has launched.Amint has introduced unique services to the customers.Now with 27 coins listed with pairing Btc,Eth and soon will add more coins in exchange.Based in Malta country it plans to attract allover world crypto traders. Amint has giving these services to the traders such as Portfolio Management ,Expert Advisory ,Futures and Options,Bot Trading ,24*7 Customer support chat ,Algo Trading ,Margin Trading,News Sentiment analysis ,Heat Map. Amint.io has launched ICO and investors can buy amint coins in different stages. Amint coins can use for trading fees on their exchange.Total supply of amint coins are 194 millions and in ico 94 million coins available.Amint ico giving 100 coins free for every registration in ico.and 10 % 5% 5% referral bonus also for three level ico sales.In exchange also users can get referral bonus on trading volume. 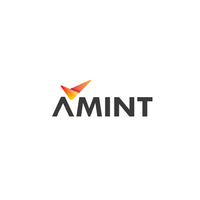 Company is plan to introduce more crypto assets exclusively trade on their exchange.Crypto asset companies can list their coins with more secure and higher trade volumes.Amint management hopes that it will become one of the leading crypto platform in the world.